Avocados, mangoes, and cassava are the first crops that Apeel is targeting with their edible coating, approved for use on organic foods, that can prevent food waste and grow farm economies. 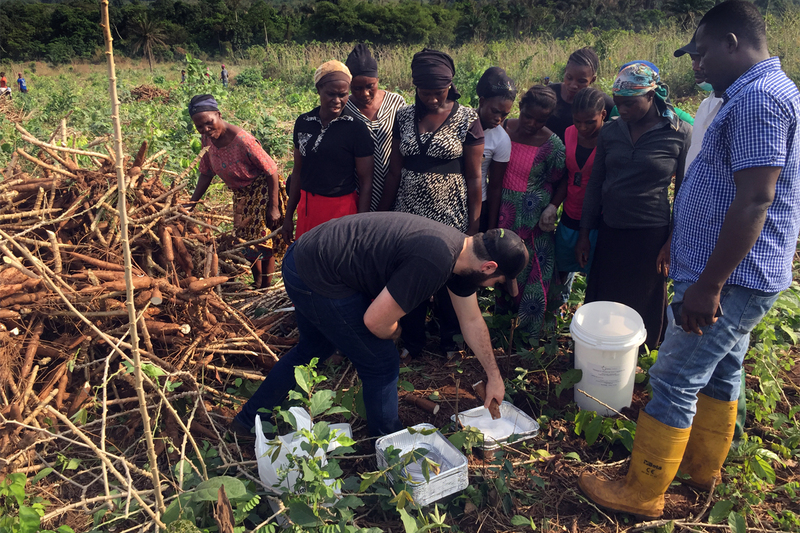 Changing demographics—and increasing demand for gluten-free products—have put cassava root on the radar in the United States. She nonetheless was intrigued, and eventually she stumbled across a patent for a process to produce cassava flour that promised to eliminate the bitterness and perform more like a wheat flour. Trends like that have caught the eye of Kola Adeniji, the proprietor of Niji Lukas, a Nigerian conglomerate with interests that include agriculture and food processing. But in order to take advantage of them, Adeniji first had to figure out how to extend the shelf life of cassava, which deteriorates within three or four days of its harvest. Thus, much of the crop is sold in local markets or left to rot in the field. 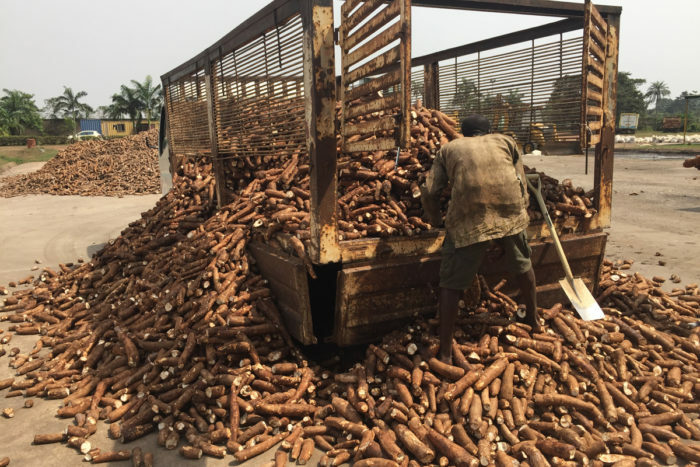 Farmers could make more money selling cassava to processors like Adeniji, who makes the tuber into flour and other products. If Apeel can reach fields around the world, it could lead to significant improvements in not only the carbon footprint of the imported fruits and vegetables the West consumes, but also in the livelihoods of the people in agricultural economies that grow them. Apeel was founded in 2012 after James Rogers heard a radio program on food waste on the way home from the Lawrence Livermore Laboratory, where he was doing some work on ultrathin polymers for use in the solar energy business. He figured he could use the same principles he was experimenting with as a graduate student to make thin coatings that would preserve fruits and vegetables and have many other benefits as well, like reducing or even eliminating the need for refrigeration and pesticides. 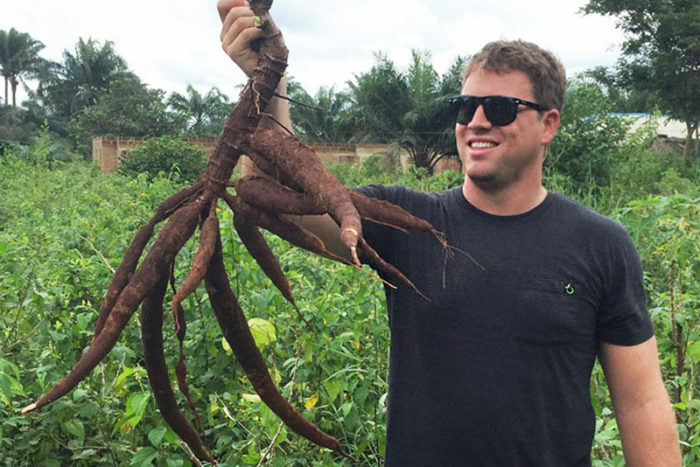 Apeel founder James Rogers holding a cassava root. Today, Apeel coatings are edible, approved for use on organic products, and deemed “generally recognized as safe” by the Food and Drug Administration, and they are rolling out on avocados this summer in partnership with several major grocery chains. Just a few years ago, more than one-third of John Mutio’s mango crop went to waste, rotting on the ground before the small farmer in Kenya could secure a buyer for the fruit. In 2016, though, he lost only a handful of fruit, thanks to Apeel, which he applied to his mangoes in hopes of slowing their deterioration. Now Mutio hopes to sell his mangoes in Europe and Asia, where exotic produce commands high prices. The Kenyan Department of Agriculture estimates that as much as half of the fruit harvested in the country spoils before it reaches any market due to challenges such as the lack of refrigeration and long and slow distribution chains. Such issues leave small farmers like Mutio to haggle with middlemen, who know well just how long a farmer can hold out before he must concede to fire-sale prices or face rot. Rogers compares the impact of Apeel to that of the mobile phone, which eliminated the need for African countries to invest in expensive land-line equipment. He contends that the coating will help reduce the need for roads, logistics, and other infrastructure in short supply in the developing world. Apeel’s Ydun Donahoe talking to farmers. 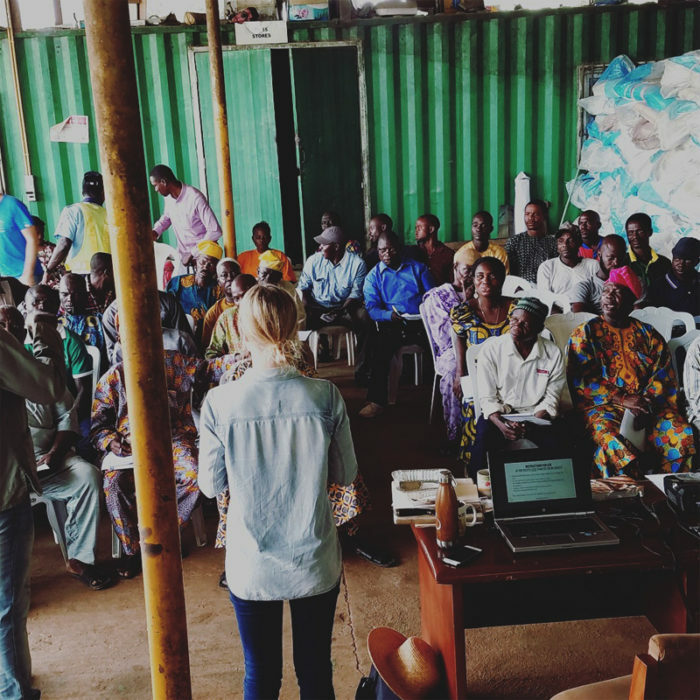 The Rockefeller Foundation has backed Apeel’s African venture as part of its Yieldwise program, a project to reduce post-harvest waste among small farmers in Africa. The company has found ways to coat a wide variety of fruits and vegetables to delay ripening and prevent spoilage caused by various pests. The coatings are imperceptible and non-toxic, making them ideal not only for farms in the developing world but to major produce companies in the United States, Europe, and Latin America. 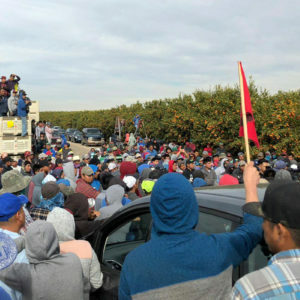 But while the coatings promise to deliver better fruit with less refrigeration and spoilage, coaxing growers in the United States to use them has been hard. Growers were concerned the application process would add cost to their operations, and so Apeel developed a mobile application system that fit into semi-trailers, taking ownership of the coating process. The company also began telling its story to major grocery chains (which are, after all, the ones coping with spoilage and short shelf-life), enlisting their help in persuading growers to use Apeel. And so this year, U.S. consumers will start seeing avocados with an Apeel label of some sort in their grocery stores. 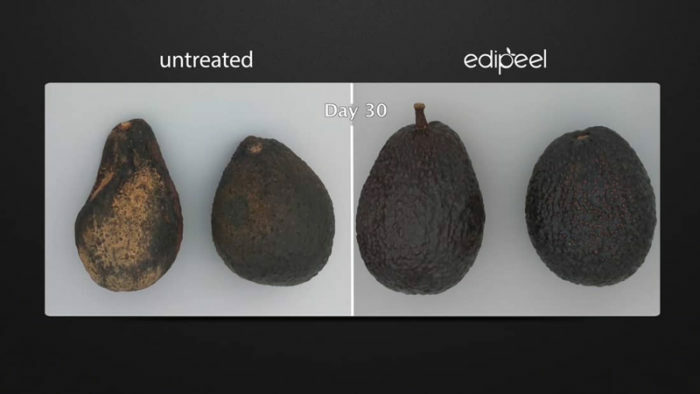 Not only will Apeel double the shelf life of a ripe avocado by slowing water loss and oxidation, it also will help prevent interior browning, which is caused by a fungus called anthracnose that extends something like a straw through tiny cracks in the skin of the fruit and extracts sugars, leaving behind an ugly footprint. The goal is to give consumers a naturally ripened avocado—no more brown paper sacks and bananas to coax a rock-hard avocado to ripen—and to lower shipping costs for growers and reduce the number of avocados retailers have to throw away. Apeel may also give Americans and Europeans greater access to foods rarely found in Western countries. Currently, Niji Lukas sends its cassava to Europe by air. If it could move the product by boat, it would cut its shipping costs by at least half, Adeniji said, thus allowing the company to ship more cassava to markets where it is quickly moving into the mainstream. Mangoes are another good example. Some of the best mangoes are grown in Africa and India, but they often can’t survive the shipping time it takes to get them to local markets, let alone to markets in the West where they could command premium prices. Dennis Okeyo contributed reporting from Kenya. 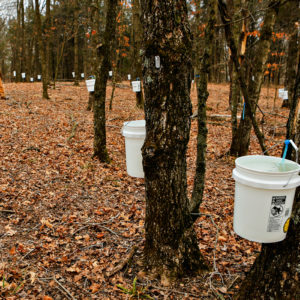 Correction: This article was updated to reflect the fact that Apeel is not a B Corporation, and its product is not certified organic, but rather approved for use on certified organic products. I would like to know what is in the product - some detail. Hi this sounds really fascinating. One question I have is, will the proposed 10x price yield increase from foreign markets have any affect on both local prices, and local availabilities where these foods are grown? While this is fantastic news for fruit lovers everywhere, what is the impact in the local community? Would love to hear more about that. It sounds like the farmers are producing more than enough at the moment, but just curious what enough looks like as markets change and expand. This product sounds too good to be true. Personally, I'd never eat fruit with a coating unless I knew for a fact that it was completely safe, and this article conveniently neglects to mention what it consists of. As someone with uncommon food sensitivities, and also thinking of those with food allergies, I wonder what is in Apeel. The benefits to the farmers are exciting. I am hopeful it’s going to be safe for all of us to consume. I am encouraged by your article about Apeel and the potential life-changing impacts it could bring to small farmers. Thank you for sharing it. I will add to my channels. Has there been any research or data to prove that there are no long-term health effects? We have stumbled miserably down this kind of road with the introduction and proliferation of GMO technology in the food sector. I am not sure the public will want to eat fruits coated or lacquered with a synthetic application. In order for this article not be completely biased in the favor of Apeel, serious questions and concerns need to be raised in order to meet the demands of the conscious, educated, concerned 21st century American citizens, like me. 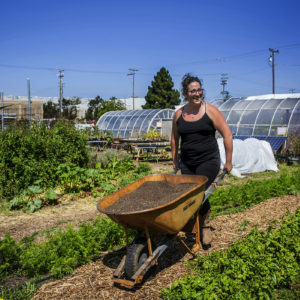 Although this article has exciting news for produce and farmers; before we get too excited about this revolutionary product, I would like to know more about it. What is it made out of, health risks, etc..? Please provide more or complete information about this Appel, so us consumers could be aware of what our food may contain before it goes into our bodies. Thanks. I am intrugued but at the same time want to be careful of by wanting to know in details more about it. If this product really organic, it will help farmers in Indonesi who need time to ship peoduce between islands. Now the question is: Can Rockfeller Foundation/Yieldwise ensure that Apeel does not wind up in the hands of a rapacious multinational like Bayer Monsanto where it will be used to enrich a handful of invesors at the expense of those who produce and market our food?